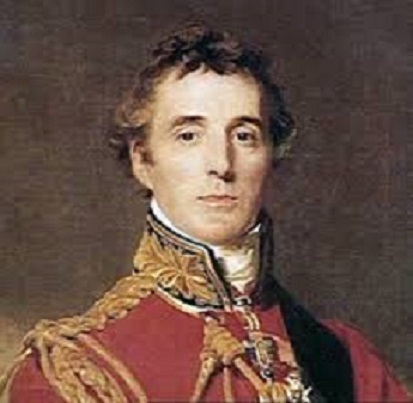 Arthur Wellesley was the first Duke of Wellington who is widely known for being soldier than a politician he came into limelight for his actions to repress reforms as a Prime Minister, However, his popularity sank a little while his office time. Wellesley was born into an aristocratic Anglo-Irish Family as the Hon in Ireland. He was the fourth one of the 5 sons of Anne and Garret Wesley. His father was the 1st Earl of Mornington while her mother was the eldest daughter of the 1st Viscount Dungannon. His father died at his very early age and he was often neglected by his mother which made him a reserved and withdrawn child. He mostly grew up at his one of the two home bungalows that were in Dublin and the Dangan Castle that were located in County Meath. He attended Mr. Whyte’s Academy being in Dublin and went to diocesan school while in County Meath. His later education took place at Eton College until 1784 and afterward he went to French Royal Academy of Equitation in Angers where he got knowledge of French and was provided training to be a horseman. Young duke had no interest in pursuing his career in the military but his first choice was music, but following his mothers wish he joined Highland Regiment. In 1787, Arthur joined as a junior rank officer in the army and was appointed in the 73rd Regiment of Foot. In the same year, in October, he was selected as the chief of staff to Lord Buckingham and later as the Lord Lieutenant of Ireland. Then in 1788, he was assigned to work for the 12th regiment of Dragoons. In 1789, Arthur became Trim’s Member of Parliament in the Irish House of Commons and served the Castle of Dublin. Later his promotion was to the Captain’s position and was selected for the 58th Regiment of Foot. In 1793, he got promoted to major in the British Army and then to the post of lieutenant-colonelcy. In 1793 of September, he was upgraded to the commander of the brigade. he returned to Trim’s parliament with a hope of getting promoted but was disappointed and joined back in the army. He traveled to India with his regiment in 1796. He was appointed to be a part of the Fourth Anglo-Mysore war in 1798 to expand British rule in India. The night attack of the Battle of Seringapatam was also led by him. He defeated Tipu Sultan, the rule of Mysore in 1801 to become the brigadier general and also resided in his summer palace. Many reforms were made in the taxation system. He was also commissioned to be a part of the second Anglo-Maratha war in 1803 which resulted in British Empires victory at the end of the war in 1805. He came back to England in 1808 and became the lieutenant general. Meanwhile, he conquered French forces in the war against them. In 1810 he prevented French Invasion by slowing down the French army with the construction of Lines of Torres Vedras. In 1814, after the victory in the Peninsular war, when French forces withdrew themselves from Spain, Portugal and Napoleon were relinquished, Arthur was titled with the Duke of Wellington. He served as the ambassador to France until Napoleon came back in 1815. He also attended the Congress of Vienna. He then defeated the Napoleon forces in the Battle of Waterloo by commanding the allied forces. In 1818, Arthur was posted in Lord Liverpool’s Tory government and in 1819 he was assigned as Governor of Plymouth. He was appointed as the Commander-in-chief of the British Army in 1827. In the following year, he resigned as Commander-in-Chief to become Prime Minister of the United Kingdom. In 1829, he passed the Catholic Relief Act granting all Catholics the civil rights by removing any restriction of any previous Acts. In 1846, he retired from politics however retaining his position as the Commander-in-Chief. In 1848, he protected London during the European revolution by organizing a military force. I don’t know what effect these men will have upon the enemy by God, they frighten me. Even being a Prime Minister and a commander in chief Arthur rarely spoke to his servants and conveyed his orders and demands by writing to them on a notepad that he kept on his dressing table. He married Kitty Pakenham in 1806. Their married life was not successful due to which they lived separately for many years. In 1831, kitty died of cancer. Arthur died at the age of 83 as he suffered from a series of strokes that resulted in an epileptic seizure. He was deceased at the St. Paul’s Cathedral in London.